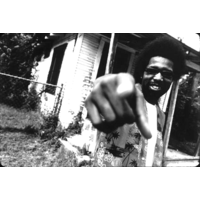 Joseph Edgar Foreman (born July 28, 1974), better known by his stage name Afroman, is an American rapper who came to prominence with his singles "Because I Got High" and "Crazy Rap". "Because I Got High" circulated around the Internet before becoming a hit worldwide. He was nominated for a Grammy award in 2002.